Yeah! It's Christmas time again in Barcelona soon. Local and travellers are looking forward to welcome Christmas 2016 in Barcelona city. As every year, 2016 Christmas time in Barcelona will be magnificent. Dia de Navidad Day which means Christmas Time is around the corner and winter voyage lovers may have begun to decide where to celebrate 2016 Christmas Day. So sit back, get a coffee or something to drink and read your Barcelona city guide's article about Barcelona Christmas events in 2016. I hope you will find a perfect match for your holiday in Barcelona. So what are 2016 Barcelona Christmas Events? Let's have a look but first of all you can read our previous article about Christmas Day in Barcelona to have a general idea. On Christmas Day in Barcelona first of all Christmas Lights will be turned on 24th November 2016 till 6th January 2017. You can see the lights in Barcelona streets and Christmas soul will be everwhere. 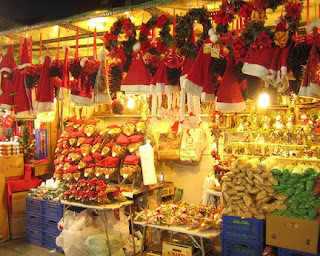 Even if you are not a shopaholic you will be astonished by the colors of Fira de Santa Llucia Barcelona market which will open Friday 25th November till Friday 23rd December 2017. Event location is at Barcelona Cathedral on Avinguda de La Cathedral. It's the biggest market for Christmas Day in Barcelona so you may collect some souveniers for your friends. 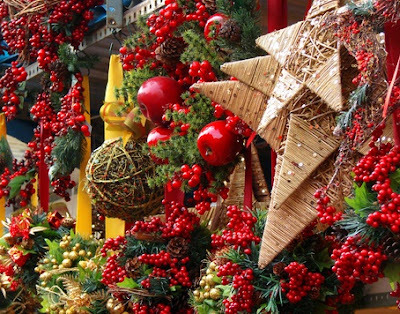 This market will be enjoyable to celebrate Christmas customs in Barcelona. There are some activities such as throwing sweets and events for children also. Beside, there is award presentation of a theatre play and also dances and shows for both adutls and children. 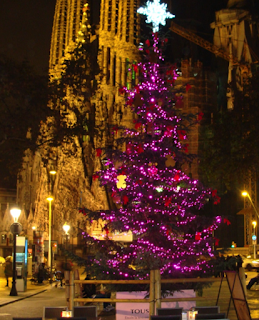 Another Christmas Market is around Sagrada Familia Church. 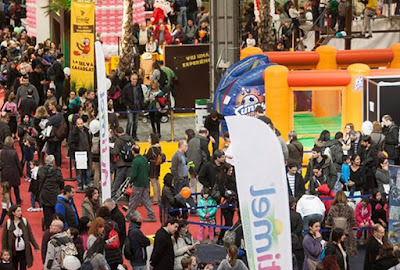 Beside shopping there are special events like on two Saturdays Santa Claus visit the fair located at Sagrada Familia and collects the letterswritten by children for Christmas and hand ot balloons. Everywhere is full of colorful sights. Don't forget on 25th December which is Dia de Nadal Christmas in other way Christmas Day lots of restaurants and shops are closed. Ooops! It's winter but for some this is not a obstacle! 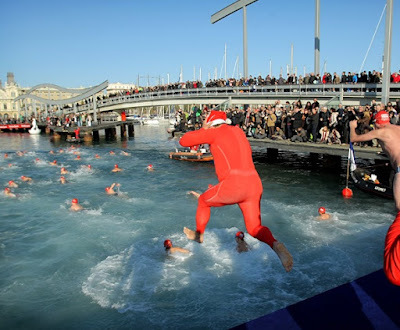 Another crazy but most enjoyable event in Barcelona on Christmas Day is Harbour Swim 2016. If you miss swimming and be brave then you have still time to join this great activity in Barcelona city. Christmas Day Harbour Swim 2016 Barcelona will be hosting many swimmers around the city. The event is on 25th December Sunday 2016 and will start at 12.00 pm. The event will be held at Portal de la Pau at Port Vell which is at the end of La Rambla. It's a open swim race which is 200m that has been done for years. If you want to join this brave event you should apply till 18th December 2016. The event is organised by Club Natacio swimming club Barcelona. You can find the contact below. Without music National Holiday is nothing. So this gorgeous music concert is waiting for your participation. On Monday 26th December 2016 will be hosting this great Catala Choir in Barcelona city. The event is at Palau de la Musica Catalanaconcert hall. It's the biggest symphonic choirs with 80 singers so you can't miss it if you a real music passionate. Tickets are sold so quickly so you should hurry. A holiday with children needs always some special events for children. So you are lucky if you are in Barcelona city on Christmas Day. The event include soprt games, karaoke, workshops and concerts. Children Festival will start on Tuesday 27th December 2016 and continue till 4th December 2017. It's located at Fira Montjuic exhibition centre. Here below you can find a video of the festival. Have a nice Christmas! Enjoy the Christmas time in Barcelona. Please keep on following your Barcelona city guide for more events. Video by Festival Infancia. Thanks for sharing. For any copy rules please contact us.